A talk organized by the Office of Multicultural Student Affairs (OMSA) yesterday discussed today’s brand of American Islamophobia and how it fits into a history of “othering,” xenophobia, and oppression in the United States. 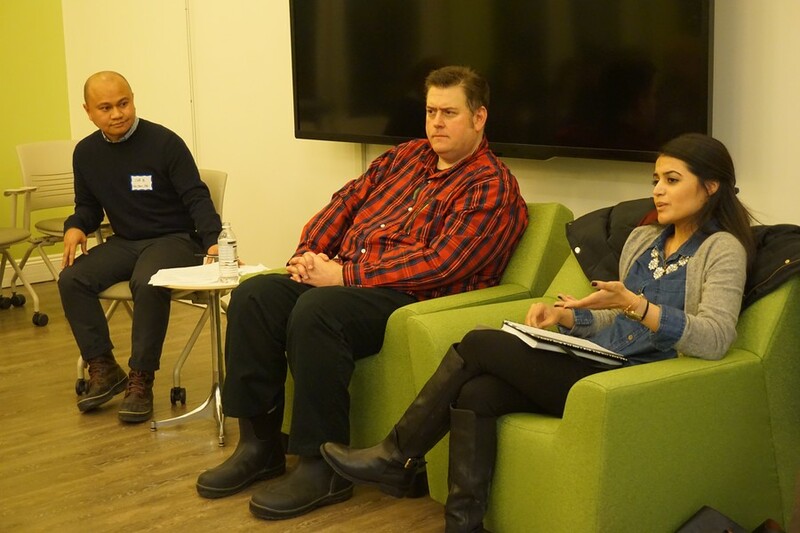 The panel for “Not in My Backyard: How Islamophobia Is Shaping American Values” was comprised of Cliff Bersamira, moderator and OMSA staff member, Jamil Khoury, the founding artistic director of Silk Road Rising, and Roya Naderi, the product and social media manager at the Karam Foundation. Silk Road Rising is a nonprofit that creates live theatre and online videos which tell stories through primarily Asian-American and Middle Eastern–American lenses. The Karam Foundation is a nonprofit dedicated to providing aid to Syrian refugees. The talk was part of OMSA’s Emerging Minds Project, a program intended to create meaningful dialogue through personal experience. Naderi pivoted the discussion toward defining American values. She said that “American values are influenced by religion,” such as charity and compassion. Politics, politicians, and the perpetuation of an “us versus them” mentality explain “how we got from this attitude of loving thy neighbor to ‘not in my backyard,’” she said. The discussion also focused on Islam’s portrayal in the modern world and how each panelist’s respective organizations are currently working to address Islamophobia in the media. The panelists expressed disappointment with the way the media portrays Muslims as well as the strife many Muslims are facing in the Middle East. “If a change has not occurred within people, this change is not going to translate on other levels,” he said. The talk concluded with panelists providing answers about their message for students, here and on campuses across the country, who have experienced xenophobia or Islamophobia. “I believe that telling one’s story is a significant way of combatting xenophobia and helping people change from within,” Khoury said. “The fact that you guys are all here is making an effort to combat the xenophobia that people experience personally, and that’s really important for the future,” Naderi said.